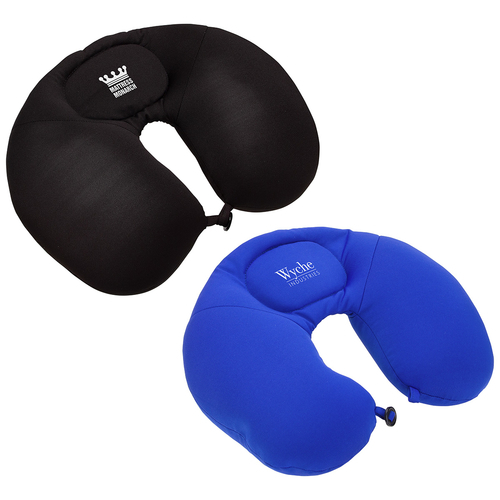 Grab the attention of more clients when you make this Loosen Up Neck Pillow a part of your inventory! This item is made with a soft 100% polyester exterior shell and features polyester micro-bead fill for added shapeable comfort. A button-loop closure keeps it in place while you rest. Imprint this Loosen Up Neck Pillow with your company name or logo and give clients a soft place to land!